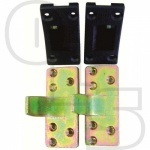 They offer added security on external doors with exposed hinges. 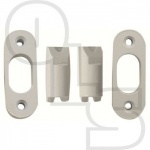 A simple and effective method of securing an outward opening external door. 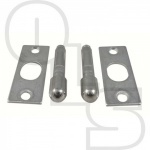 Once fitted into the hinge side of the door & frame, the bolts locate the keep when the door is closed, ensuring that the door cannot be lifted off its hinges. 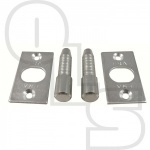 These bolts are suitable for all wooden internal and external doors. 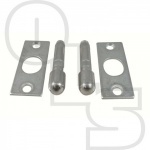 Manufactured from hardened steel they resist hacksawing. 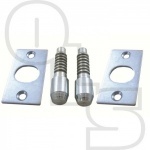 Hinge bolts are recommended as essential for all outward opening doors.